The young men compete is several categories including character modeling, talent, GQ modeling and response to an interview question. This year’s contestants are Ben Agnew, Isaac Foote, Charlie Lowsma, Cris Mora, Liam Occon, Carl Prior, Judd Ricks, Christian Stockwell, and Marco Zanetti. This year’s talent portion will include singing, playing live music, and dancing. The pageant is judged by Park City High faculty and administrators, as well as community volunteers. The pageant is organized and coordinated by Dance Company, Dance Company 2, and the stage crew class. Audience members will have the opportunity to buy ballots, for $1 a piece, and cast them in the lobby to vote for their favorite contestant. Tickets are $10 if purchased in advance (from a dance company member or Mr. Miner candidate), or $12 at the door. The Mr. 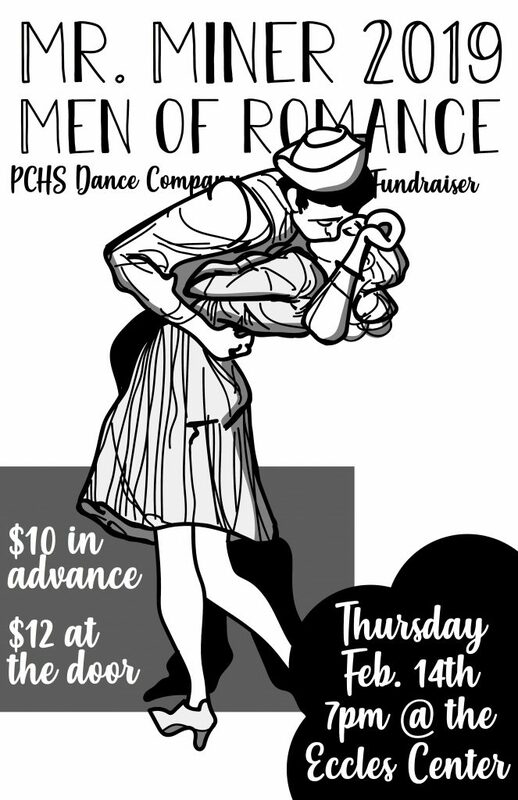 Miner Pageant is the primary fundraiser for Park City High’s dance program.